Say the phrase "animal rescue" in any given circle of people and watch for a variety of reactions. Some people’s eyes will light up with hope and delight and others will start backing away with narrowing eyes, faces drawn with suspicion. The latter is unfortunate, but the truth cannot be denied that some of the most unstable portion of society seems to be drawn to this activity. Hoarders are the worst case scenario of this group, but emotions run high with rescuing animals, so it’s easy to be sucked into the drama that runs rampant. Before I go much further, I want to make it clear that I am wholeheartedly a supporter of animal rescue. I personally ran my own Doberman rescue for 15 years. I got my start in dog behavior at a local animal shelter and am still considered a volunteer there. I currently volunteer behavior consult for a friend’s foster based rescue group. That entails providing behavior assistance to dogs in foster care as well as screening applications as needed. The group has a policy that requires modern rewards-based training be utilized on their dogs and enforces this post-adoption so it is my “job” to screen trainers and look for red flags on questionable applications. All but one of my dogs have come to me via rescue or shelter situations. I have many local and national friends who work in shelters as well as friends who participate in animal rescue both locally and all over the country. Rescue is in my blood. So, this article is not about the responsible rescuers. Those rescuers work tirelessly day in and day out, saving animals without looking for kudos and without joining the dizzying array of fanatical social media discussions among a certain sect of “rescuers”. This article is about the irresponsible rescue practices that sadly are becoming more and more common. One of the more repulsive ones is social media bashing frenzies against anyone that holds higher standards and practices responsible rescue and sheltering. Mention euthanasia for any reason, but in particular because of behavior issues in a dog, and “rescuers” come out of the woodwork, ready to converge upon the rescue or shelter in question with a vengeance that is frightening. When a shelter has to have police presence on their property because of the threats of “rescuers”, that’s when The Twilight Zone music should get cued. These actions alone can make so many people wary of those who participate in animal rescue. This behavior is often known in social media circles as “save all the furbabies syndrome”. You can read more on the subject of who should and shouldn’t be responsibly saved in a link contained further down in this article. But it doesn’t end with threats to shelters and rescues who disagree with them. Anyone with any knowledge that supersedes their own small world is a target. They behave much like wild jackals descending on prey. If they spent even half of that energy properly screening homes and providing proper veterinary care for the animals in their care, the world would be a much better place. Instead they spend an inordinate amount of time on social media platforms making up stories about people they have never met, who might have disagreed with the information that they are sharing as facts. This is the kind of behavior that the general dog owning public at large sees as fanatical. This is also what drives people in droves to irresponsible breeders and puppy millers. These are also typically the same type of personalities who will descend on someone who does something they disagree with that doesn’t affect them in any way. One frightening example is a case in my hometown last February where the director of a local humane society was viciously attacked on social media, to the extent of having a petition full of inaccuracies and false accusations leveled against her created. Her “crime”? Purchasing a responsibly bred puppy for her son, with the goal of that puppy being an emotional support animal for that child, who has since been officially diagnosed with Tourette’s Syndrome. She is wholeheartedly a supporter of rescue and has two rescue dogs in her family, as well as a number of rescued horses. The decision to add a well-bred puppy was made for several reasons, among them being that one of her adult dogs only tolerates puppies as opposed to adult dogs. The other is that she needed to be relatively sure of the temperament of the dog that was to be assisting her son. I make these statements in the past tense because she returned the puppy to the breeder because she feared for her family’s safety. Yes, that is what I said. Some of the threats made against her were so serious that official harassment charges were brought against several people. You can read more about her plight here and here. Blind breeder hate is another common theme among the fringe component of rescuers. After all, the mistaken impression that all breeders are responsible for shelter dogs' deaths is rampant, if untrue. More on this subject can be obtained in this article. This is what can happen when crowd mentally bands together to “punish” a breeder for being a breeder. Proving that a dog legally belongs to one should result in getting the dog back, but this shows that many people don’t care who a dog belongs to. They act as judge and jury and claim that they know better as to whom should have a dog. This brings me to the latest scenario that prompted this article. A local shelter that I volunteer at made the tough decision to euthanize a dog that had came through their doors several times and had been adopted out twice, with the same results. This shelter has a stellar behavior department, that I was once a part of. It is locally known that if a dog ends up here, that he or she will be given the best opportunities available, both medically and behaviorally. 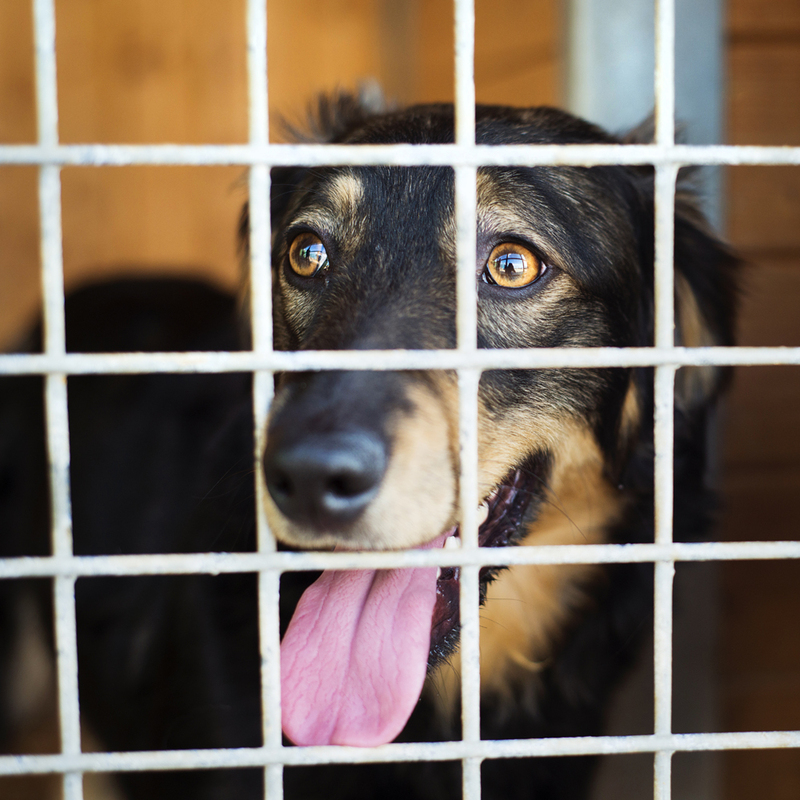 So when this shelter makes such a decision, it is not without having exhausted all other options, including the appropriateness of transferring a dog to quality interested rescue groups. Because the dog was a small breed, the outcry was even louder than a similar instance several years prior, over a large dog that killed another dog, meeting the same fate. False statements flew around social media, labeled as facts, local “rescuers” praising each other for their “knowledge” and loud voices, that were being used to do nothing but spread falsehoods and bully others who actually were in possession of real facts. Not only were the masses loudly heard spreading rumors, but they took to making threats against the shelter as well as anyone they thought even remotely associated with this decision. The masses slammed this wonderful shelter with so many negative reviews, that the supporting reviews are hard to find. For a frightening glimpse into the mind of the uninformed mob mentality that exists in extremist rescuers, feel free to read the reviews here. Sadly, there are no facts making an appearance in these words. The decision to euthanize an animal available for adoption is a very individual one that should be based on many factors, which include possibility and probability of making behavioral changes in a shelter or rescue setting as well as what type of adopter such an animal needs and the safety of the public at large. For more on this subject, here is a previous article. Divisions are rampant among extremist “rescuers”. The trash talking is often viral and is not limited to breeders and just random people who disagree with them. They often target shelters of all types in addition to animal control facilities. The debate over open admission versus limited admission shelters leads to some heated exchanges where no one is the winner. Animal control facilities are often targeted if they don’t align themselves immediately with the rescue groups who are usually just randomly assembled with little thought or resources that go into caring for the animals that they claim to want to rescue. In addition, if you have had the misfortune to have a dog get loose and go online for assistance in getting your dog back, be prepared to have to explain how you could possibly allow this to happen and that you are indeed a good dog parent and deserve to have your dog returned to you. I refer you back to the case of the breeder whose friend suffered a health issue and had the dogs get loose because of this. Judgments are rampant among this group and evidently nothing awry ever happens in their lives. In some cases, this kind of thought process can result in “rescuers” stealing dogs that are outside in yards or on tie-outs. I am absolutely not a supporter of dogs being left outside on their own but the law has requirements. Those requirements exist for a reason. Often that reason is because things are not as they appear to others and there is no cause for concern. Let a humane officer decide the difference. In many cases this mentality leads to far too many animals in one home or facility where behavior problems can start to immediately surface because someone bit off more than they can chew, relying on the internet or television reality shows for their behavior information. Vetting can often be minimal and placements procedures are frightening and include the placement of intact animals that might also have undisclosed health issues. It’s very easy to get sucked into the save them all mentality, especially when one first gets involved in rescue activities. Saying yes to things that more seasoned rescuers say no to is a hallmark of a newbie rescuer. Those who are mostly assisting as keyboard warriors will then see the extremists as the heroes, with little understanding on the actual facts of what is appropriate. They just know that a dog was “saved”. They know nothing of what happens after said dog is “saved”. This creates a reinforcement of the behavior of actions that shouldn’t have happened in the first place. Each time the goalposts get moved out a bit further, so that incrementally it becomes easier to let guidelines slide “just this once”. People bite off more than they can chew, taking in too many animals without the resources to do so. The act of “rescue” then becomes a matter of commodities, which amount to animal flipping, with no regard to quality. It’s just a step closer to either a burnout for the “rescuer” or a tragedy for the animals in their care or both. This can often lead to these types of animal hoarding scenarios. Animal hoarding is the subject of this study here. These are not the rescuers that are checking your criminal record or even your veterinary care history should you already have animals in your care. Adopting from the fanatical fringe is sadly easier than adopting from a responsible rescue group or shelter. The goalposts have already been moved, if they existed in the first place. Which is frightening for the animals in their care. Responsibly operated rescues and shelters thoroughly screen potential adopters not only for the best possible match for the animal in question, but for a history that might be a red flag, such as certain criminal charges as well as a poor history of veterinary care for past animals in their care. But if you want any animal from the rescue fanatical fringe, all you need to do is comment on a public Facebook post or in an animal rescue Facebook group. Arrangements are then made to meet someone somewhere and have that animal handed over to you in some parking lot. It’s that easy in many cases. This works out when the person in question is more responsible than the “rescuer”. In other cases, animals get passed around from person to person and get more stressed with each change of scene, culminating in a serious behavior issue that the final destination is ill equipped to handle. Then if they are even more unlucky, they get handed off to someone who claims to “rehab” dogs, only to suffer the fate of forceful old fashioned methods being foisted upon them. Read more on the subject of rescue groups and behavior knowledge here. A related issue is the lack of actual background information that is passed on to well-intentioned adopters. Past bite histories are typically required by law to be communicated to anyone taking on a dog. But those wishing to “save all the furbabies” conveniently leave information like that out of the equation, knowing that many people aren’t looking for a project dog. This can place not only the adopter in a precarious position but also the neighborhood at large, depending on the bite in question. Irresponsibly done rescue and sheltering is everyone’s problem, not just those that the extremists target for their ire. 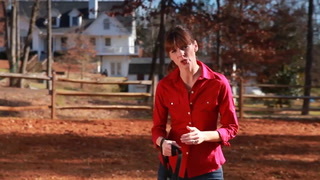 The tactics that rescuers who are on the fringe use affect every pet-loving person out there, whether it be as members of a community where a dangerously misrepresented dog (either temperament or lack of proper vetting) has been placed, or as someone looking to acquire an animal via rescue who is uncomfortable with the actions of the rescuers that they have been exposed to. 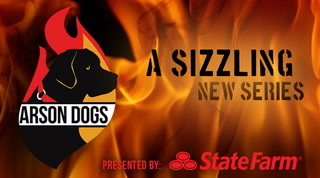 This leads to more support of backyard bred dogs and puppy millers. That is not the direction that we as savvy dog parents and dog lovers should want to take. Education is crucial to more responsible dog parenting overall. The public at large should be looking towards credible sources for their education rather than having to be bombarded with the images of the fringe rescue movement that leads so many innocent dog lovers to deem as the norm. It isn’t the norm. At some points the state laws need adjusted so that some if not all of these practices have consequences. Additionally, it the duty of everyone to stand up to bullying behavior on the internet and let your rational voices be heard. It is only with a solidly knit common sense community that won’t stand for these travesties that the extremist behavior can be reduced and eliminated. Be the responsible change you want to see in the world. Disclaimer: The views and opinions expressed are those of the author and do not necessarily state or reflect those of Victoria Stilwell.